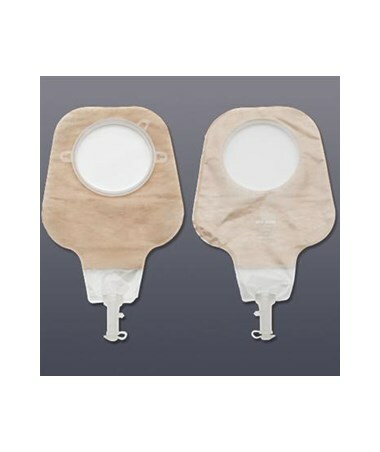 The New Image High Output Drainable pouch is designed to eliminate pressure on the tender postoperative abdomen with the exclusive floating flange. This model features ComfortWear panels that provide a soft, cloth-like covering between the pouch and the skin. Belt tabs attached help secure the pouch to the belt. Multi layers of odor barrier film protect against noise and rustling. 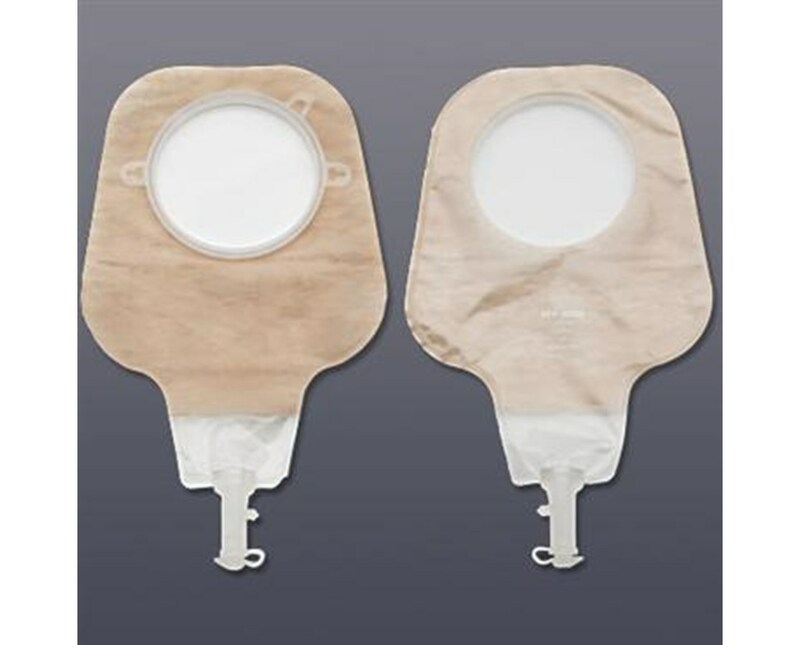 The pouch is ultra clear for easy visualization of the stoma through the pouch film. A soft tap spout is comfortable against the skin and allows for ease in emptying the pouch. The High Output pouch comes in four flange sizes,1 , 2 2 , 4.Select from the drop down above. Confidence assured with odor containing pouch materials, e.g. transparent, odor-barrier Film. Ultra clear pouch film allows for easy visualization of stoma. Odor barrier film consists of three layers of film to protect against odor. Comfortwear panel on body side is made out of nonwoven plastic material that separates the pouch film from skin. Belt tabs allow for easy attachment of a belt to the pouch for additional security.